1. less than 4 GB of RAM, a trick Apple Computer uses to cut costs. 3. Parallel ATA hard dives. Modern laptops and PCs use 64-bit processors such as the AMD x86 64 bit processor. These processors can address up to 8 MB or RAM while 32-bit processors can only address 4 GB. The Celeron technology works with all 32-bit processors, but not with all 64-bit. Celeron processors can run all IA-32 computer programs, but their performance is often significantly lower when compared to similar CPUs with higher-priced Intel CPU brands. For example, the Celeron brand will often have less (L2) cache memory, or have advanced features purposely disabled. These missing features can have a variable impact on performance, but is often very substantial. Old school PATA connectors are on the top and the new school SATA HD connectors are at the bottom. 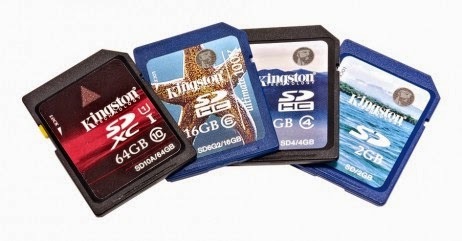 The newest hard drives are not mechanical, but sold state dives (SSD). 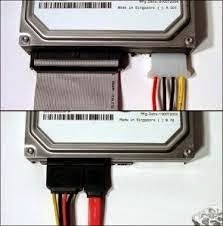 The larger SSD's require a serial ATA connection. Some of these drives are hybrid and have both a solid state and mechanical sdies. 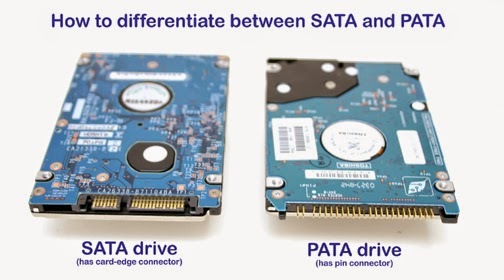 Unfortunately, the largest SSD drives with a PATA interface is 128 GB. Anything larger uses the newer SATA interface. The minimum HD space to install Windows 7 and 8 is 20 GB for the 64-bit operating system. Linux requires far less space. Realistically Windows need about 30-60 GB of HD space. Linux can run on a 128 GB SSD drive because it is a meaner and leaner OS.The writer is using about 150 GB on a Linux laptop, A 128 SSD drive It would work but I would have to place most of my data files on a USB thumb drive or a secure digital (SD) card. 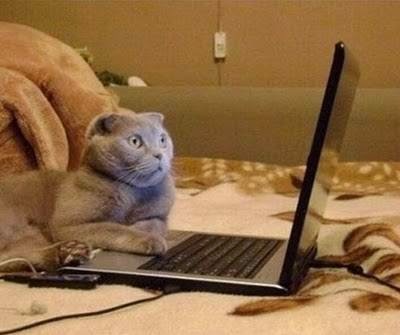 If you purchase a laptop, buy one with a 64-bt CPU and operating system, at least 4 MB of RAM and a SATA HD. This will allow you to upgrade RAM up to 8 MB and also install a a large SSD or hybrid drive at a later date. This will extend the life of your laptop. Most of the earlier generation laptops have few upgrade options.